A catastrophic injury is life-changing, leaving you and your family to deal with an uncertain future filled with debilitating pain and suffering. These injuries often require extensive recovery times, multiple surgeries and an ongoing rehabilitation processes. Catastrophic injuries can range from loss of limb to a brain injury and can be caused by any type of accident, including car accidents. 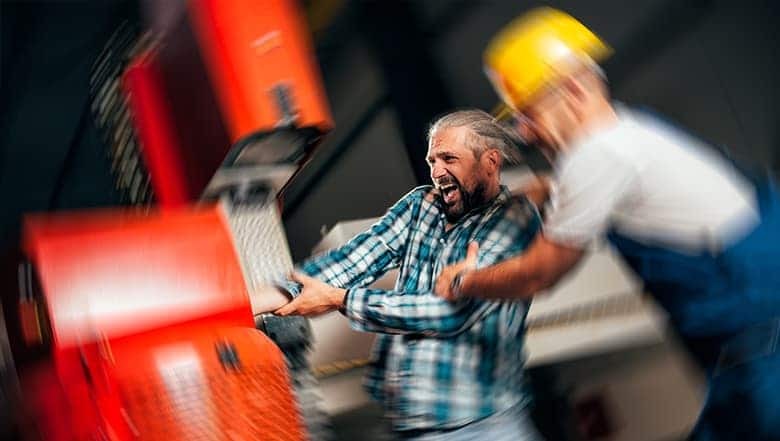 At Larson Law Firm, P.C., our dynamic team of experienced North Dakota catastrophic injury attorneys understand the emotional and physical challenges of dealing with a lawsuit after a serious accident. That is why we provide each of our catastrophic injury clients with legal guidance they can trust. With nearly 40 years of representing injured victims in North Dakota, we aggressively seek fair compensation for your catastrophic injuries. Catastrophic injuries are severe personal injuries that can forever change the quality of your life. They may result in permanent disabilities that impede your ability to perform daily tasks or enjoy your favorite activities. These injuries may leave you permanently disfigured or result in the amputation of one or more limbs. A catastrophic injury may permanently prevent you from working and earning an income to care for yourself and/or your family. Paralysis. The inability to move and control the parts of the body can take away a person’s ability to handle their most basic needs. Paralysis injuries may involve paraplegia, affecting the lower portion of the body, or quadriplegia, which generally affects all four limbs and the torso. Traumatic brain injuries. Injuries to the head can result in traumatic brain injuries (TBIs). These injuries affect the brain in various ways, sometimes causing memory loss, severe headaches, and the loss of cognitive brain functions. Brain injury victims may also develop such neurological disorders as brain tumors or seizures. Loss of limbs. The loss of a limb has devastating effects. Whether it occurs instantly from the impact of an accident or under medical care, victims must deal with the permanent loss of a body part and the functions that accompanied it. Victims often report feeling phantom limb pain long after the limb is amputated, due to extensive nerve damage. Loss of sight or hearing. Some acts of negligence can result in the victim’s loss of sight or hearing. These conditions require expensive medical treatments and long term rehabilitative efforts to assist the victim in living a quality life with their disabling condition. Disfigurement. Severe burns and other serious accidents may permanently disfigure a victim. Particularly when these injuries involve the face, victims may become severely depressed, requiring long-term counseling and therapy in addition to the physical ramifications. Our knowledgeable North Dakota catastrophic injury attorneys understand the long-term effects of these injuries, and we work to obtain settlements that properly consider the psychological and physical pain of a catastrophic injury. Whether caused by a vehicle crash, a workplace injury, a defective product or medical malpractice, we provide the residents of North Dakota with the representation they need during the most difficult times in their lives. From our office in Minot, the lawyers of Larson Law Firm P.C. are proud to represent clients throughout Ward, Williams, McKenzie, Pierce and Mountrail Counties. If you are suffering from severe injuries, we can come to your home or the hospital to answer your questions. Contact us without delay to schedule a free consultation by filling out our contact form or calling us at 701-484-HURT.